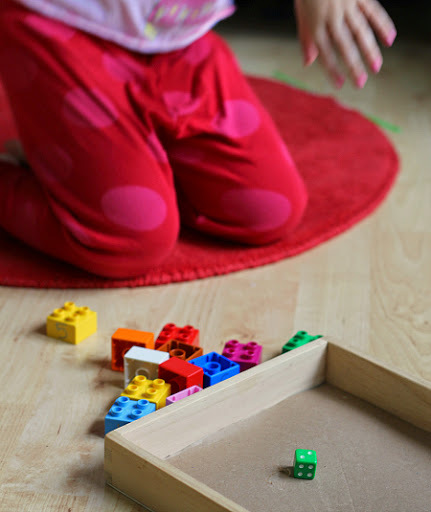 Lego Math Game For Preschool - Mom This! : Mom This! Do you know what subitizing is? A lot of people do not and even though we all do it. When I was studying how to elementary teach math I never learned this it wasn’t something that was focused on but it is now. 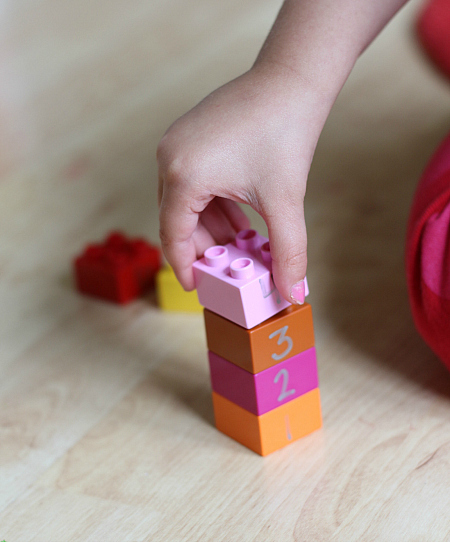 The easiest way to describe what subitizing is , is to think of it as the numerical equivalent to sight words. It is the ability to recognize total amounts without counting. Tally marks, dice, even fingers are great ways to practice the skill. 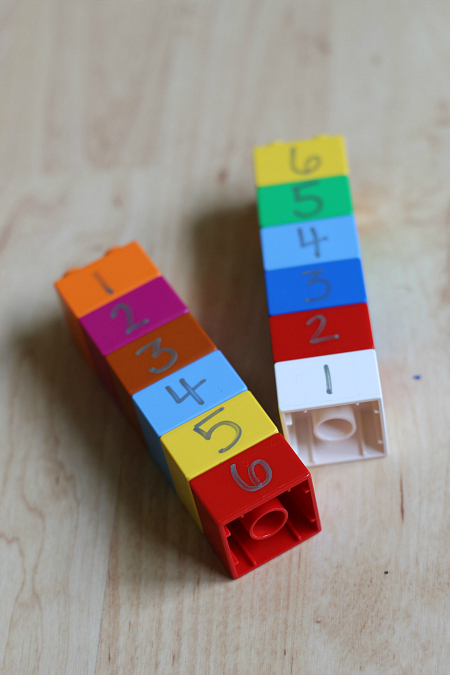 This Lego math game is great for beginners because it only works subitizing numbers from 1-6. My daughter is our littlest math whiz and loves all things numbers so she was game and dove right in. We played a bunch of times since the game itself can go pretty quickly! 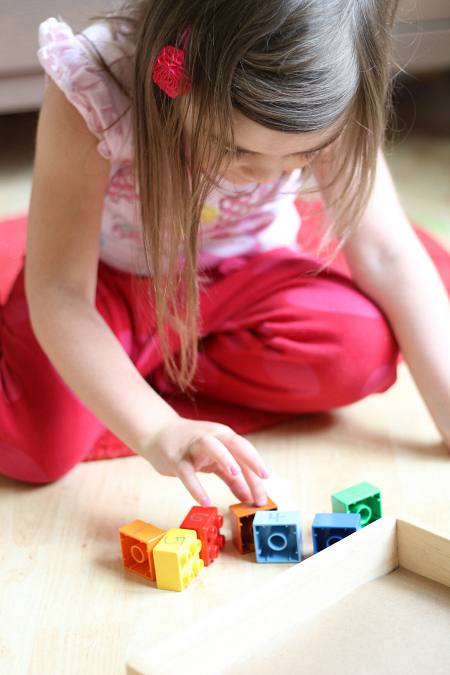 Check out the tutorial below for ways to adapt this game for older children as well. Gather your materials. 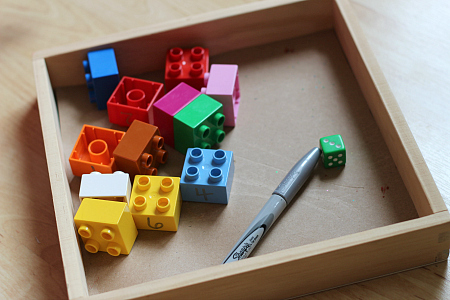 You will need a regular die, 12 DUPLO or LEGO bricks, a sharpie, and a tray or wide box to keep the die contained. Number your bricks 1-6 with the sharpie. Don’t worry it will come off with a dry erase marker later. 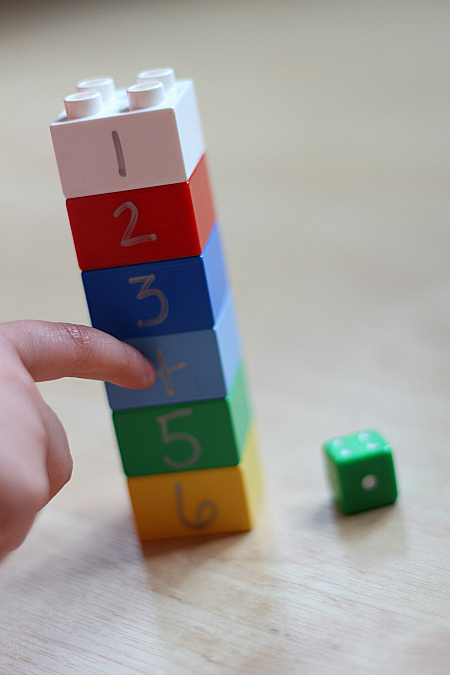 Invite your game player and explain the rules – roll an amount , subitize, and find the matching number. All the bricks are in a loose pile. 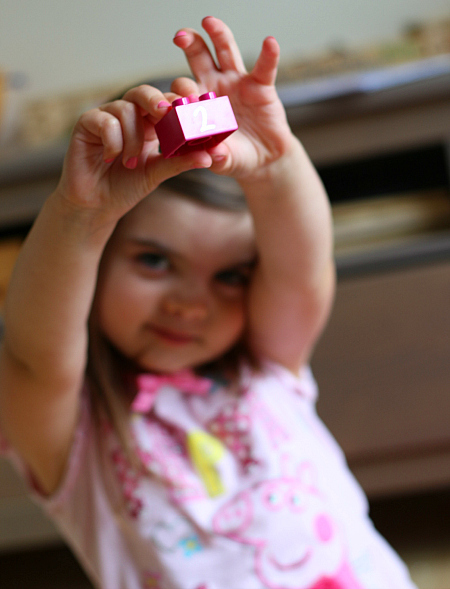 Roll the die and recognize the amount – say it out loud.Find the brick with that number on it. Let the other player roll and repeat the steps. Keep rolling until one person has built their stack and placed it in order. If you roll an amount you already have skip you don’t grab a brick. The player who has built their stack first wins. I won the first game and she was not happy. When my kids get upset about me beating them I calmly tell them they can have another chance at beating me if they want to play again. It doesn’t always work but it works more than it doesn’t. Children get excited and losing is disappointing just getting mad at them for being disappointed won’t help. Acknowledge the disappointment and offer some help or ask them how they can get the result they want… practice, play again, take a breather and come back and try again.